Fino gelding! Beautiful and talented! 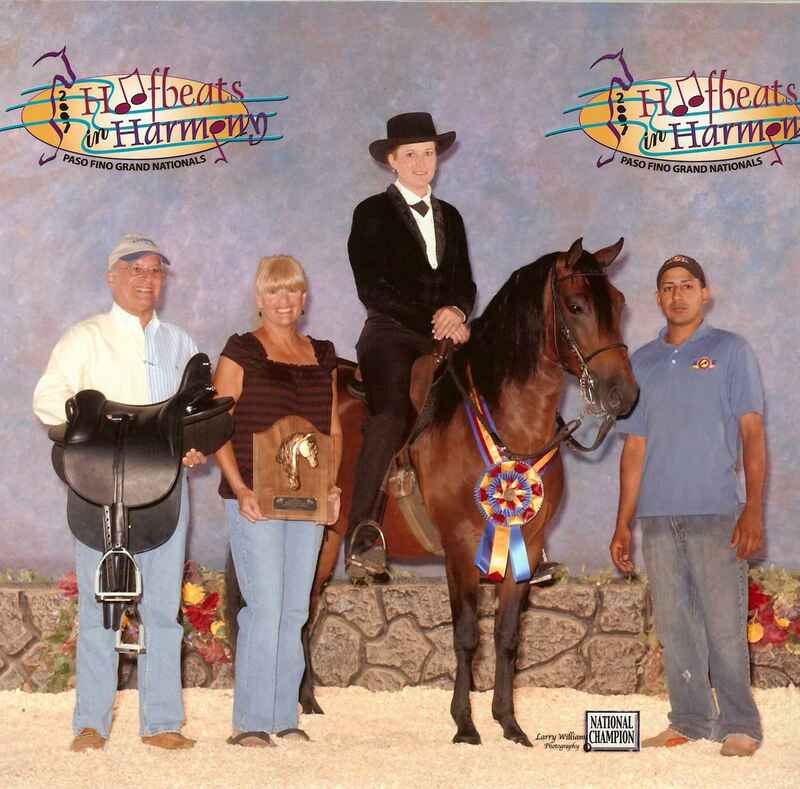 2013: SRPFHA Extravaganza Champion Fino Gelding; SRPFHA Extravaganza 1st Place Fino Gelding; Legion of Merit. 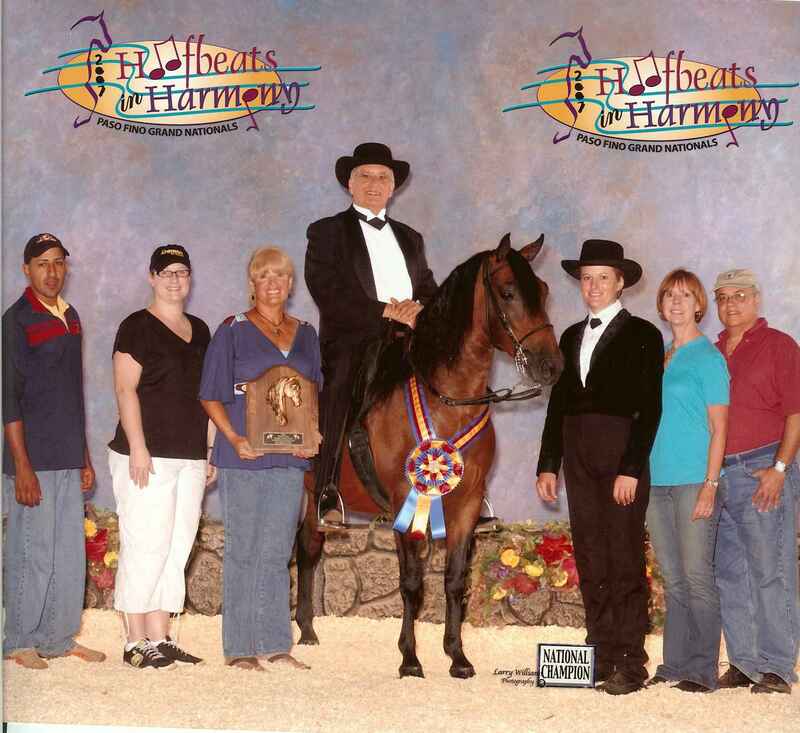 2011: PFHA Reserve Grand National Champion Fino Gelding; PFHA Reserve National Champion Fino Gelding; PFHA Reserve National Champion Geldings for Gold. 2010: PFHA Grand National Champion Fino Gelding; PFHA National Champion Fino Gelding; PFHA Reserve National Champion Geldings for Gold. 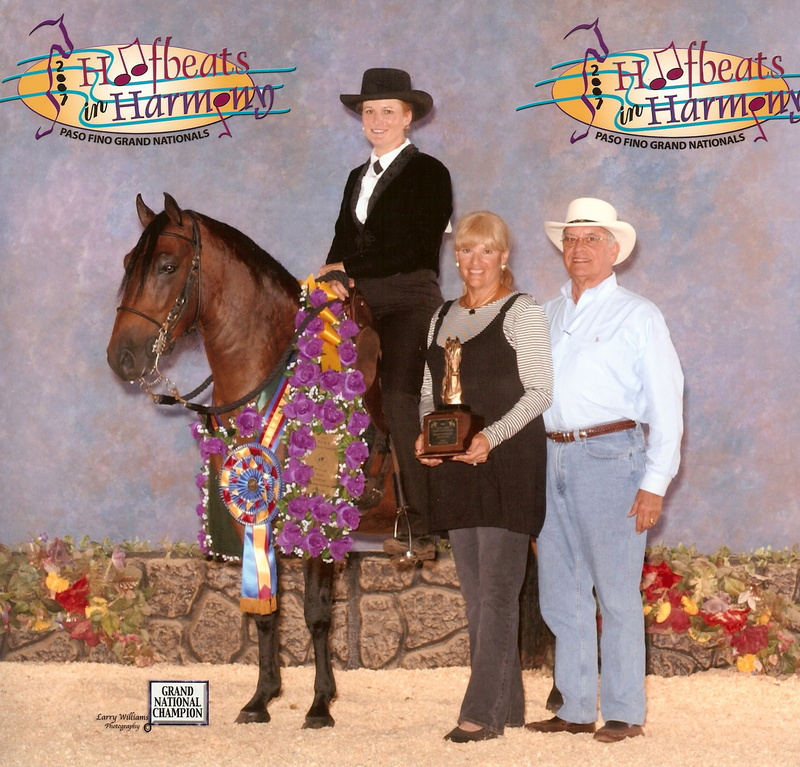 2009: PFHA National Champion Fino Geldings for Gold, PFHA 5th National Champion Fino Gelding, PFHA National Champion A/O Fino Geldings for Gold, PFHA 3rd National Champion A/O Fino Gelding; Spectrum Champion Classic Fino Gelding; Spectrum 1st Place Classic Fino Gelding; Spectrum 1st Place Classic Fino A/O Gelding. 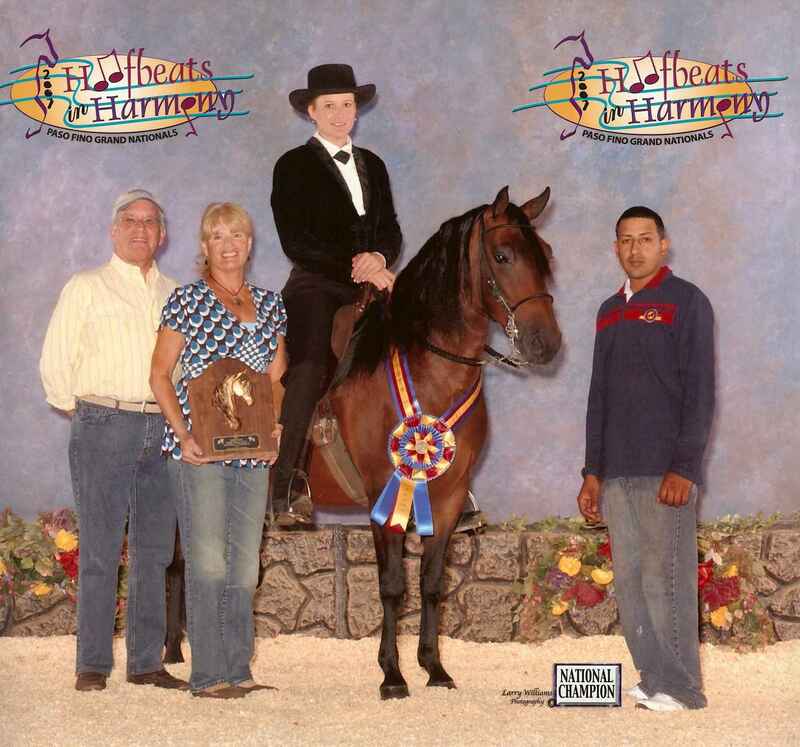 2008: FlaPFHA Spectrum Champion Classic Fino Gelding; FlaPFHA Spectrum 1st Place Classic Fino Gelding; 1st Place Classic Fino Gelding SRPFHA El Carnaval de Febrero; 2008 PFHA Grand National Champion Fino Gelding; 2008 PFHA Reserve National Champion Fino Gelding; 2008 PFHA National Champion Fino Geldings for Gold; 2008 PFHA National Champion A/O Fino Geldings; 2008 PFHA 3rd Grand National A/O Fino Geldings; IPHF US Grand Champion Non-Pro Classic Fino Gelding 61 mo. & older ; IPHF Non-Pro Champion Classic Fino Gelding 61 mo. & older; IPHF National Champion Classic Fino Geldings Open. 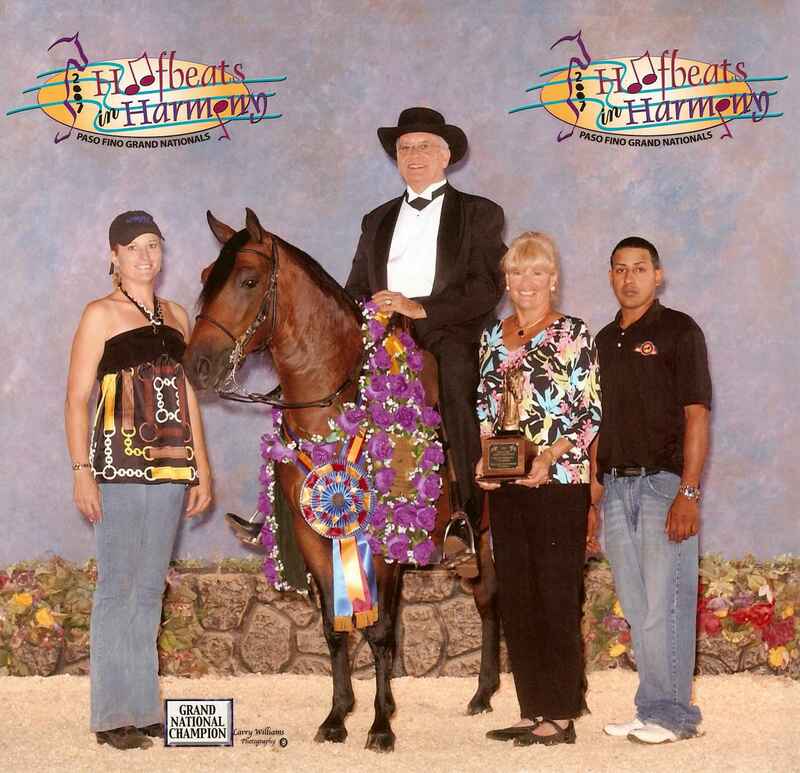 2007: Confepaso World Cup (Mundial) Best Fino A/O Gelding all ages; PFHA Grand National High Point Horse of Show; PFHA National Champion Classic Fino 4 Y/O A/O Gelding; PFHA National Champion Fino Geldings for Gold; PFHA National Champion Classic Fino 4 Y/O Gelding; PFHA Grand National Champion Classic Fino A/O Geldings; PFHA 3rd National Champion Bellas Formas Gelding; PFHA Grand National Champion Fino Geldings; PFHA National Champion Classic Fino A/O Geldings for Gold; FlaPFHA Miami International Show 3/17/07 1st Place 4 Y/O Classic Fino Colts and Geldings. FlaPFHA Pre Spectrum 1st and 2nd Place 4 Y/O Classic Fino Schooling Colts and Geldings; FlaPFHA Spectrum 4th Place 4 Y/O Classic Fino Schooling Colts and Geldings; FlaPFHA Spectrum Reserve Champion Classic Fino Schooling Geldings; FlaPFHA Spectrum Champion Classic Fino A/O Geldings; FlaPFHA Spectrum 1st Place Classic Fino A/O 4 Y/O Colts and Geldings.